+1 on that. Much easier to use in my opinion. Also CorpNewt if some of you know him has an excellent bot which will store your hardware, links, quick tips etc. We'll have to see what happens, right now I want to focus on the fixing the forum. Are you suggesting using an existing server or creating our own? I think it would be best for Admins/Supervisors to make their own so they have full control over it. Wouldn't take long for the IM followers to join. Pretty much every developer I know of. 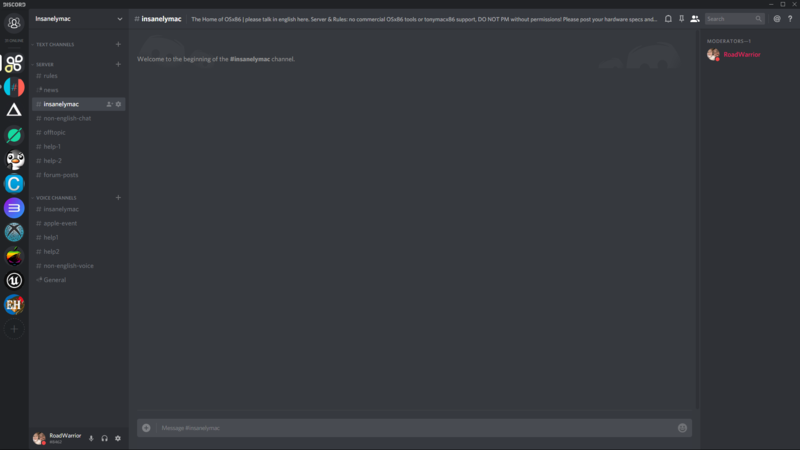 Slack has been around for way longer than Discord and has WAY more features that are for Development than Discord. The only thing I can say that Discord has over Slack is that everything is 100% free. Slack on the other hand has robust integration with a huge number of tools. Slack - Features and Pricing with details about what you can do with the plans. Features that likely nobody will ever use (on that server)... probablypopularity should decide. Honestly don't care if anyone uses it or not, its there anyways. someone made the point in chat that shifting users from forum to chat is not good for community. in this line of thinking, best to keep chat, whether IRC or otherwise, as part of the website. We can change the title of this topic to talk about the possible Forum Chat alternatives. No problem for you @WarDoc?